Then, Mr. I’m-A-Very-Smart-Astrophysicist Neil deGrasse Tyson had to go and spoil it. 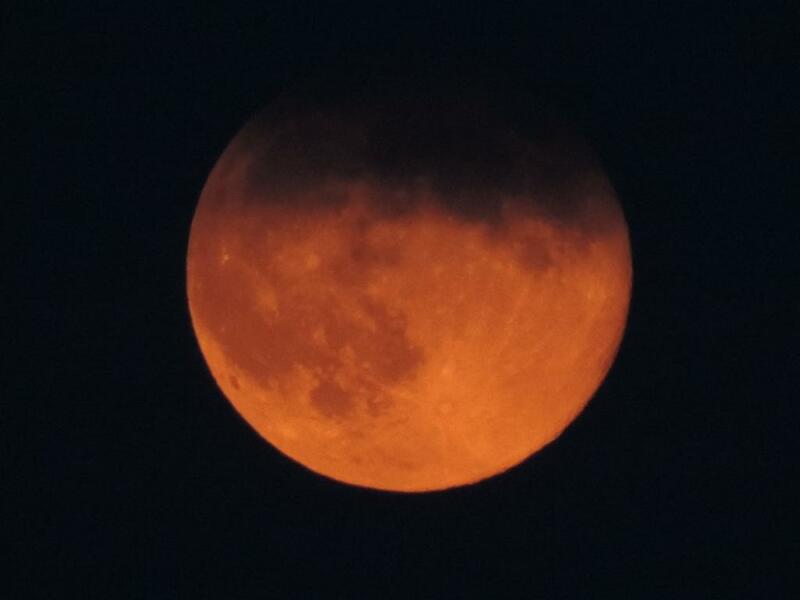 Thanks for bumming out my moon photos. 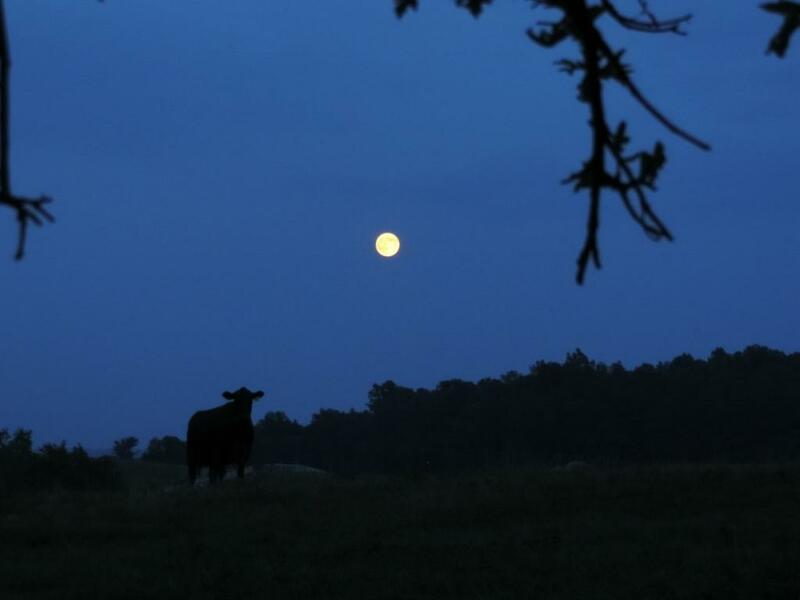 And, here’s a cow with the Not-So-Supermoon. 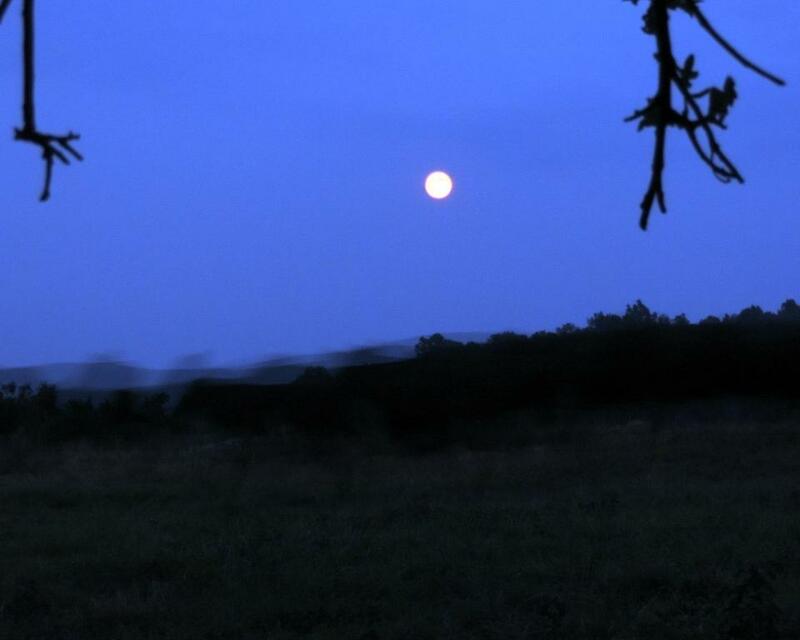 Here are lots of cows stampeding past the Not-So-Supermoon, becoming Ghost Cows in the process. Not-So-Supermoon, feelings hurt by the rudeness of Astrophysicist, packs it in and heads for the clouds. We spent Sunday’s pre-Supermoon daylight hours in Baltimore at the Orioles-Cardinals game (three-hour drive – each way – for those of you who wonder just how dedicated I am to baseball). Here’s Super-Pitcher, But Not-Quite-So-Super-Today Kevin Gausman. Here’s Rookie Catcher Caleb Joseph. He homered in each of his last five games, a club record for catchers. Not-so-super. And, no home run. Here’s Ever-Reliable Super Right Fielder Nick Markakis. Although 4-for-5 at the plate, he scored only twice, once thanks to a wild pitch. Thanks for nothing, rest of team. Not a Super Day for the Orioles. They lose 8-3. But, I saw baseball. And, a moon. And, the Orioles are still in first. Photos: Oriole Park at Camden Yards, Baltimore, Maryland, August 10, 2014. 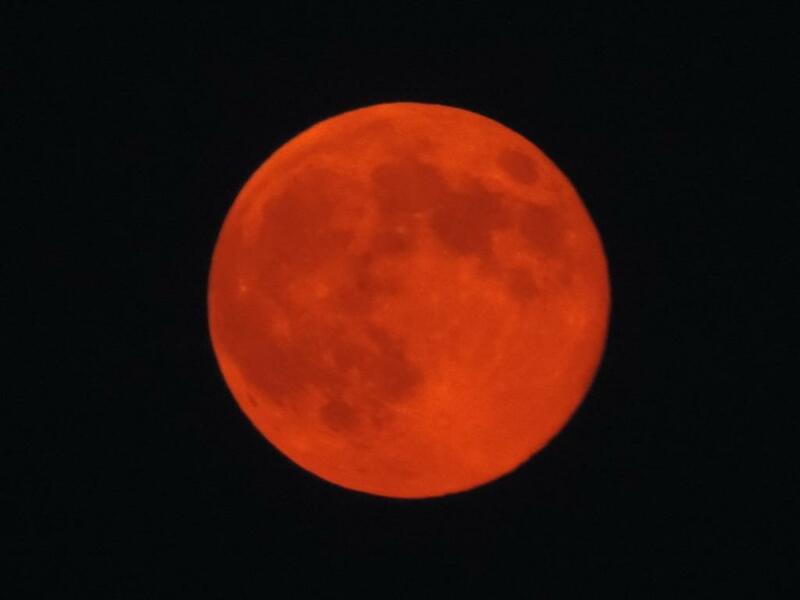 Super-ish Moon, Madison, Virginia, August 10, 2014. 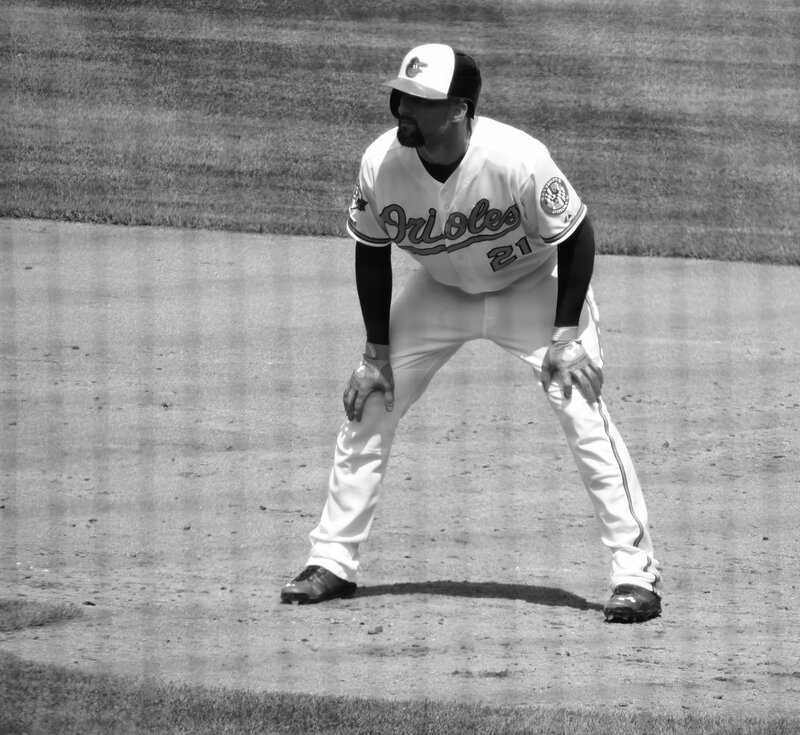 This entry was posted in Baltimore Orioles, Baseball, Life and tagged black & white, Moon, Nick Markakis, photography, supermoon by Jackie, The Baseball Bloggess. Bookmark the permalink. Hi Casey … Speaking of foodie things … We enjoyed our Edamame Dumplings at Camden Yards yesterday. Good size and $3/each … not a bad deal, and mighty tasty. True Confession: I ate more than $3 worth. Mmm, dumplings. I can’t imagine not eating more than one dumpling, frankly. One hopes that there’s some kind of a volume discount: 4 for $10 or something like that. We’ve gotta come up with the $50 million to pay Ubaldo Jimenez over the next four years. And so, there are no discounts in the food court … or the beer court. Thank you! 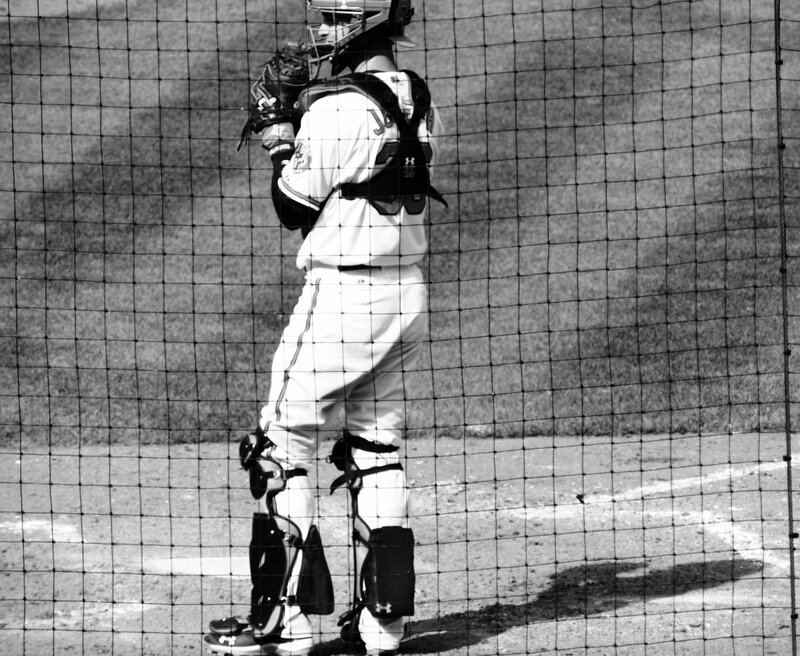 The netting behind home plate vexes me (although now that I’ve gone black-and-white with netting shots, I’m much happier) … fortunately, no net got between me and the moon! Loved the moon shot. I didn’t check the sky until an hour after moonrise and saw nothing but clouds. Now I know what I missed. So sorry about the less-than-super game results. Thank you, Gloria. We couldn’t have timed it better … it was about 8:30-9:00 p.m. Just got back from Baltimore and were driving up the pasture road … and there it was … bright and big and Oriole orange! Fortunately, I had my camera right there and ready and caught it before it went cloudward. Great pics! Was only sorry the cow didn’t jump over…. Am so excited with our O’s – just sorry you caught an off day! Thanks Lynne! The O’s didn’t look too super on Sunday … but, not so bad. And, they still took the series! Love the moon shots. Super duper! Thank you Martha! You’re right … it was a pretty super to me, even if it wasn’t that big of a deal to scientists! And, very very orange. I had the lucky timing to catch it before it disappeared up into the clouds. Casey … Randy and I actually had that conversation on Sunday. We’ve been at some of the worst losses this season. I’m trying not to take it personally … but, how can I not? Aha! Proof positive. Better go to the next game by yourself. Those B’more birds have been giving the AL East teams something to think about, for sure. How about that C. Joseph, for instance? So when you have that many bovines in the neighborhood, it’s a super moooooooon. I see you’re milking the cow puns there.